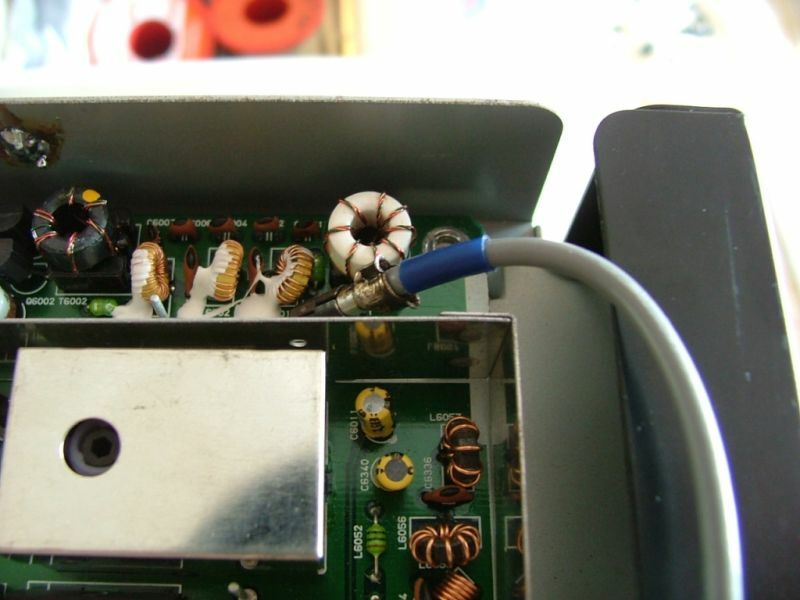 In the second RX of the Yaesu FT-1000(D) you will find a Murata 455 kHz ceramic filter. This will be the Murata CFJ455K '15', '13' or '5' filter. Perhaps another type, but most of them have a bandwidth of about 2400 Hz and very wide skirts. 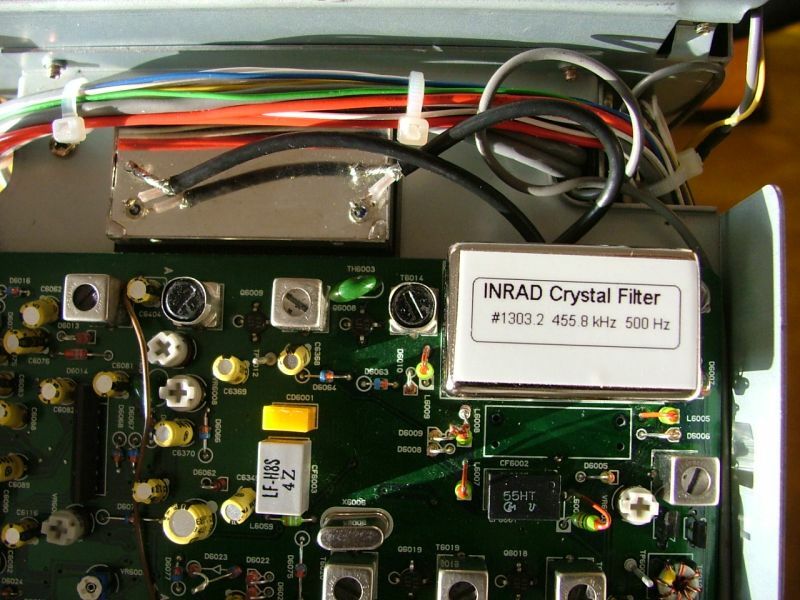 the Inrad 1800 (#714-C), 2100 (#702-C) or 2800 Hz (#715-C) crystal filter instead. You will need two thin coaxial cables for it. I did this in the FT-1000(D) with very good results! 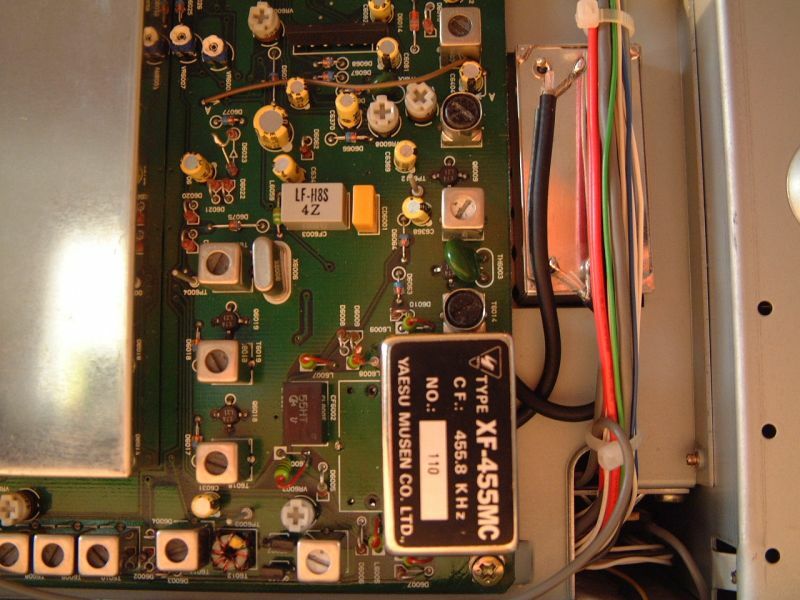 On the above photo you will see the Murata CFJ455K15 ceramic filter next to the Yaesu XF-455MC 600 Hz CW-filter. 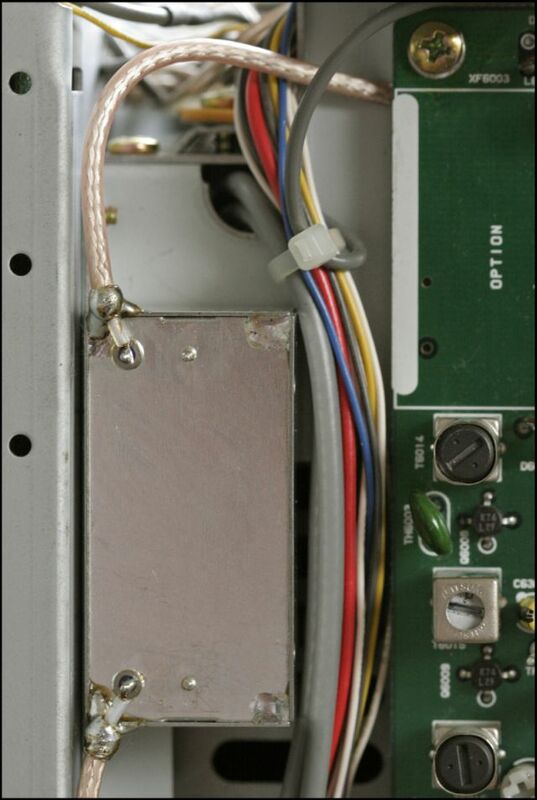 Carefully remove the cable at one side of the sub RX-board. It is not necessary to remove the whole board. Turn the board 180 degrees. Be very carefull not to harm the components and the adjustments! De-solder the Murata CFJ455K15 filter. TIP: When you have installed the Yaesu XF-455MC filter I advise you to remove this filter first. You will notice that the de-installation of the Murata filter is much easier with the Yaesu filter removed. Solder two thin coaxial cable wires at the same place where the Murata filter came from. 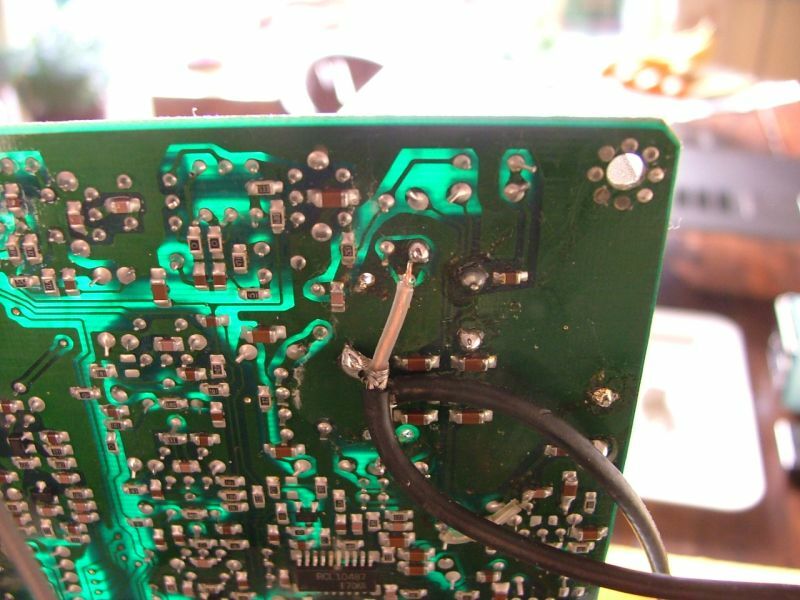 The braid of both coax cables is connected and soldered at the same spot on the PCB. I used the 2800 Hz, because I like fidelity SSB-sound. I am very satisfied with this filter! The coloured wires will keep the filter on its place. But if you want you can mount the filter on the chassis with double sided tape. I use black tape for it. This is somewhat thicker than the normal double sided tape and used in cars and boats. It looks like rubber. Just use two very little pieces/strips of this tape, in order to be able to remove the filter later on. This photo has been taken after I installed the Inrad 500 Hz filter. This filter fits exactly like the original Yaesu XF-455MC filter, but has better performance (narrow skirts). Another example how to mount the filter, e.g. with teflon coax. The ventilation grooves of the antenna tuner are still open in this example. Please use double-sided tape to mount the filter, in order to prevent short-circuit with ground. 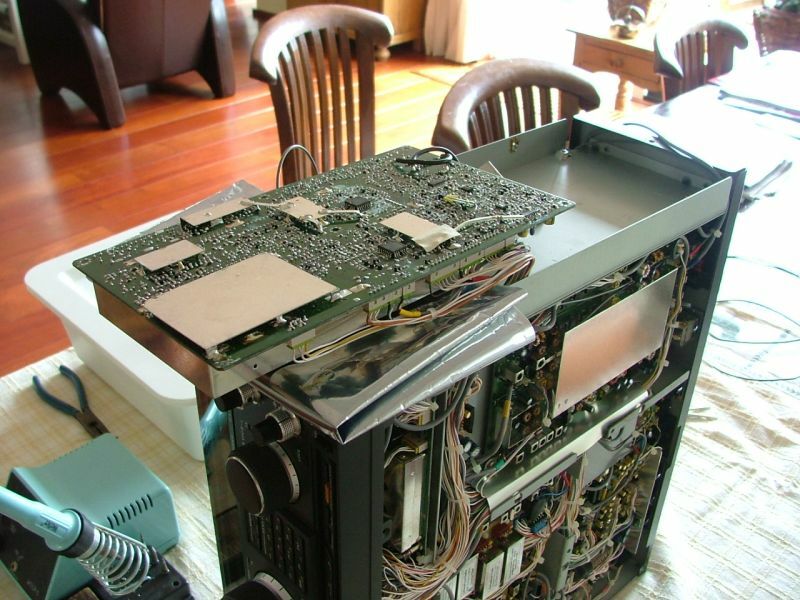 This photo has been taken by PD1XXX, who installed the Inrad 2.1 kHz filter in the FT-1000D of PA9DX. All this is an excellent improvement of the FT-1000D's Sub-RX.